required support through school leadership and organization and statewide technology infrastructures and funding. Hartnell-Young, E. (2006). Teachers Roles’ and Professional Learning in Communities of Practice Supported by Technology in Schools. 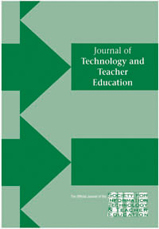 Journal of Technology and Teacher Education, 14 (3), 461-480. Waynesville, NC USA: Society for Information Technology & Teacher Education. Retrieved April 21, 2019 from https://www.learntechlib.org/primary/p/5927/. Bassey , M. (2001). A solution to the problem of generalisation in educational research: Fuzzy prediction. Oxford Review of Education, 27(1), 5-22. Beare, H. (2001). Creating the future school. London: RoutledgeFalmer. Brooks, J. , & Brooks, M. (1993). In search of understanding: The case for constructivist classrooms. Alexandria, VA: Association for Supervision and Curriculum Development. Cornu , B . (2001) . Winds of change in the teaching profession. Paris: French National Commission for UNESCO . Day, C. (1999). Developing teachers: The challenges of lifelong learning. London; Philadelphia, PA: Fa lmer Press. Department of Education Science and Training. (2001). Making better connections: Models of teacher professional development for the integration of ICT into classroom practice. Canberra , Australia: Department of Education Science and Training. Freire, P. (1993). Pedagogy of the oppressed: Twentieth anniversary edition. New York: Continuum. Hargreaves, D. (2003). Education epidemic: Transforming secondary schools through innovation networks. London: DEMOS. Kemmis , S. (1999). Action research. In J. Keeves & G. Lakomski (Eds.) , Issues in educational research (pp. 150-160). Oxford, UK: Pergamon. Laurillard, D. (2002). Rethinking university teaching. London: Routledge. Le Boterf , G. (2000). Construire les compétences ind iv idue l les e t collectives. Paris: Editions d’Organiza tion. Preece, J. (2000). Online communities: Designing usability, supporting sociability. Chichester , UK: John Wiley and Sons. Thomas, J. (1993). Doing critical ethnography. Newbury Park, CA: Sage. Wenger, E. (1998). Communities of practice: Learning, meaning, identity. Cambridge, UK: Cambridge University Press. In 2006 the author took apos i t ion as a Research Fellow a t the University of Nottingham, Nottingham, UK.